Day of the Dead kids art workshops at Yes Creative Lab enrolling now! 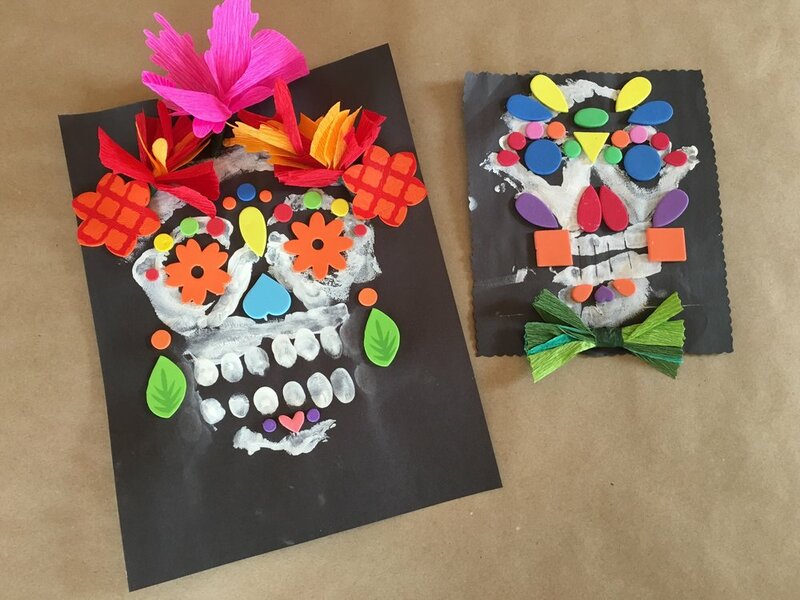 Learn to paint skulls with hand and fingerpainting, then embellish your sugar skull painting with symmetrical geometric foam sticker designs and paper flowers or bowties for a festive, colorful, spooky creation. At the end of the 45-minute-long workshop, you'll get to take your beautiful sugar skull painting home with you, along with a treat for the holiday. 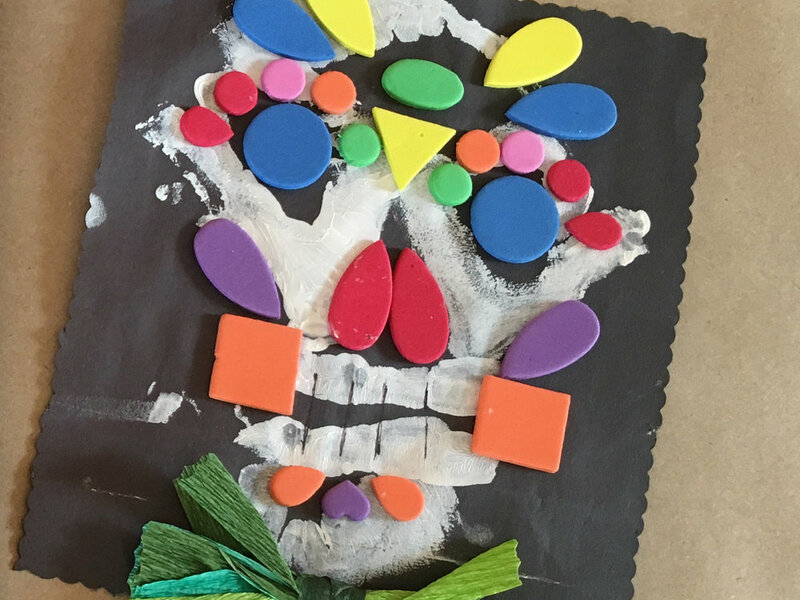 Create beautiful and colorful Day of the Dead prints by designing and making sugar skulls, hearts, skeleton patterns, or anything you can imagine with the simple and safe scratch foam method. At the end of the 45-minute-long workshop, you'll get to take your spooky prints home with you, along with a treat for the holiday. Special Grand Opening Event September 6-8!